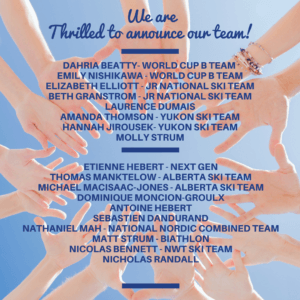 The Alpine Insurance Alberta World Cup Academy is proud to announce our new team for the 2018-19 season. Headed by veteran Canadian National Team members and 2018 Olympians, Dahria Beatty and Emily Nishikawa, this year’s team truly encaptures diversity and inclusion. As we celebrate our 10th anniversary, we look forward to continuing our reputation of building Canadian champions and Olympians. We are also excited to begin a new chapter, as we begin programming in Calgary for University students this August.